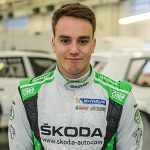 Tidemand starts the season with a podium result: Leading the ŠKODA FABIA R5 pack home was the reigning WRC2 champion and winner of this event last year, Pontus Tidemand. 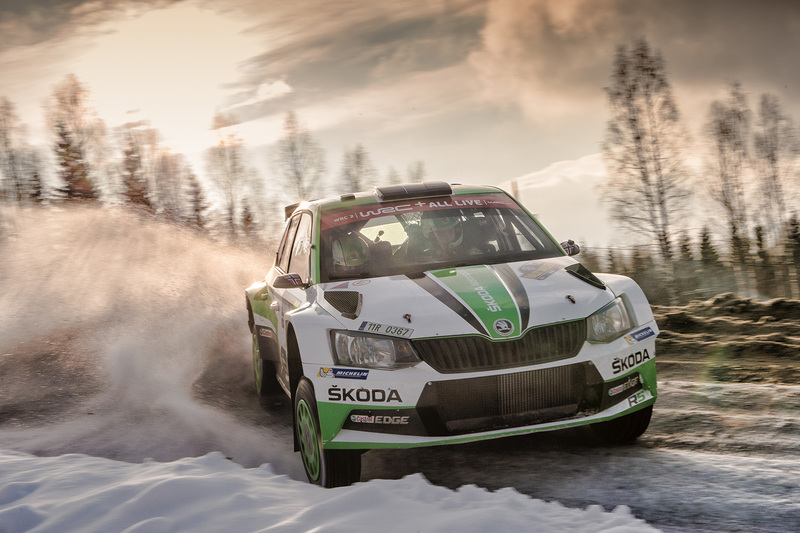 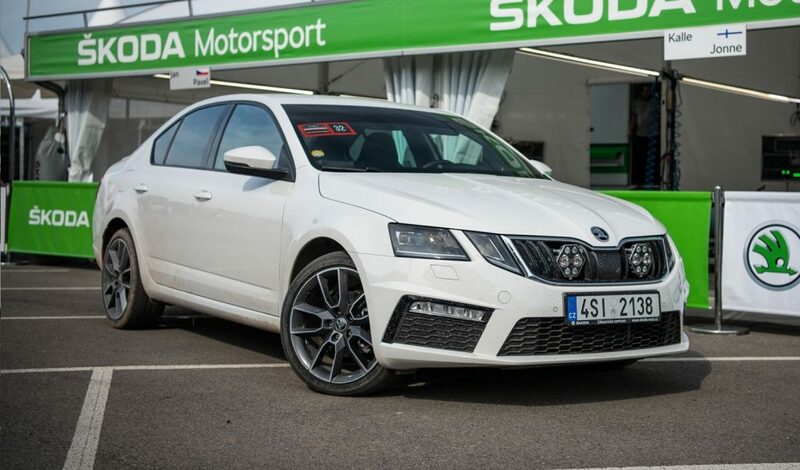 Driving once again for the ŠKODA Motorsport team alongside co-driver Jonas Andersson, he started off well winning the opening Super Special Stage in Karlstad on Thursday night. 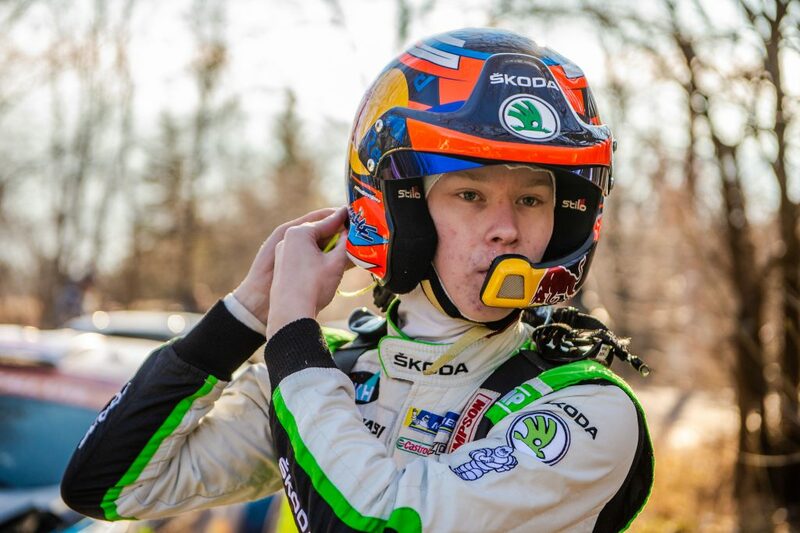 On Friday morning, Pontus claimed one more stage win as the top 5 drivers in the WRC2 standings were separated by just 2.6 seconds and as they continued to exchange places during the first two legs, he led for a single stage (SS9) before ending the second leg in the second position, just behind the leader Takamoto Katsuta. 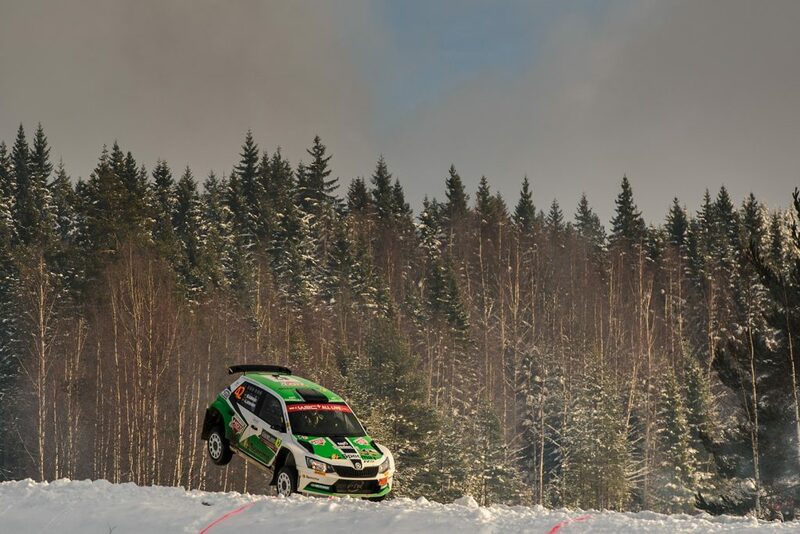 On the final leg on Sunday, Tidemand pushed hard to close the gap, winning the opening stage of the day (SS17) to cut the gap to just 9.8 seconds. 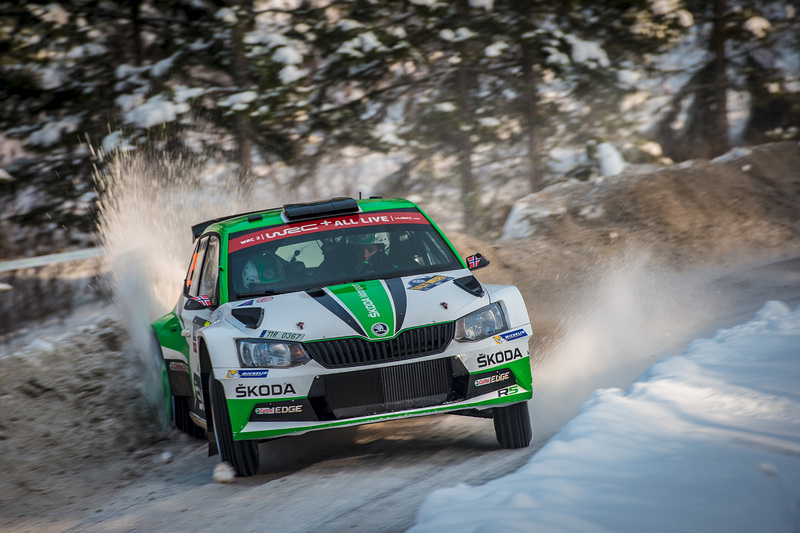 Katsuta edged the penultimate stage and although ŠKODA driver was 5.6 seconds faster on the final stage (SS19), it was not enough and he ended the rally in the second position, an agonizing 4.5 seconds behind his rival. 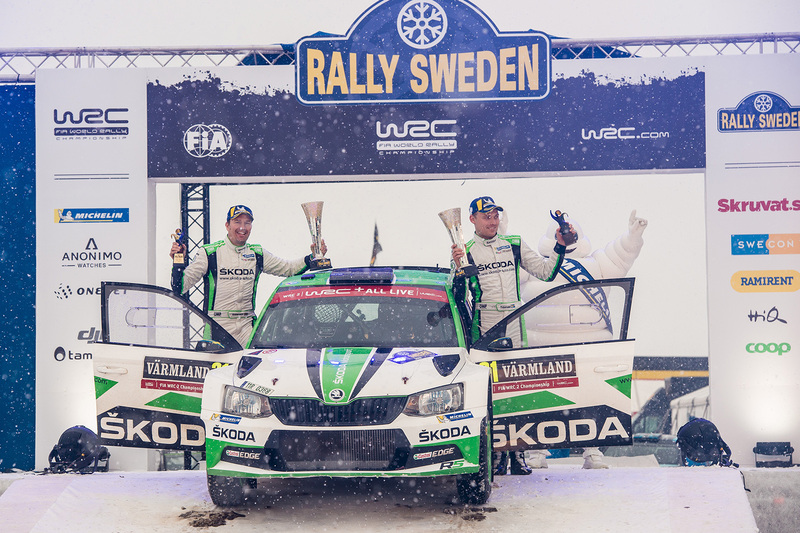 “It’s a second place finish in the end and valuable championship points. 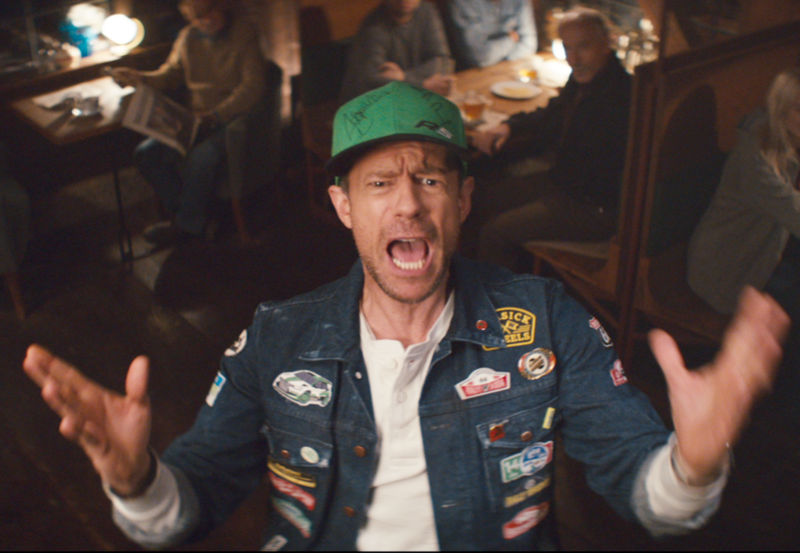 We were in a real fight and we really enjoyed it. 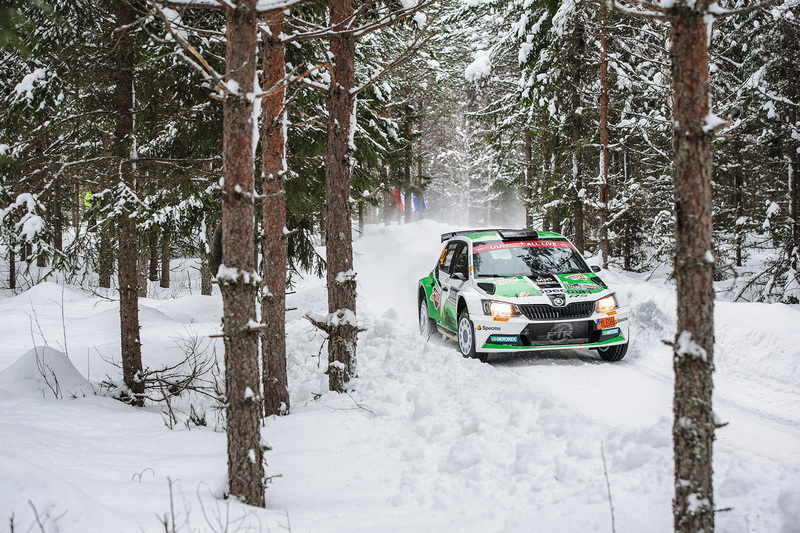 Hats off to Takamoto Katsuta for taking the win and a brilliant performance!” said Pontus Tidemand. A podium finish for Veiby: Norwegian Ole Christian Veiby ensured that there would be two ŠKODA Motorsport’s FABIA R5s on the WRC2 podium as he and co-driver Stig Rune Skjærmoen brought their car home in third place. 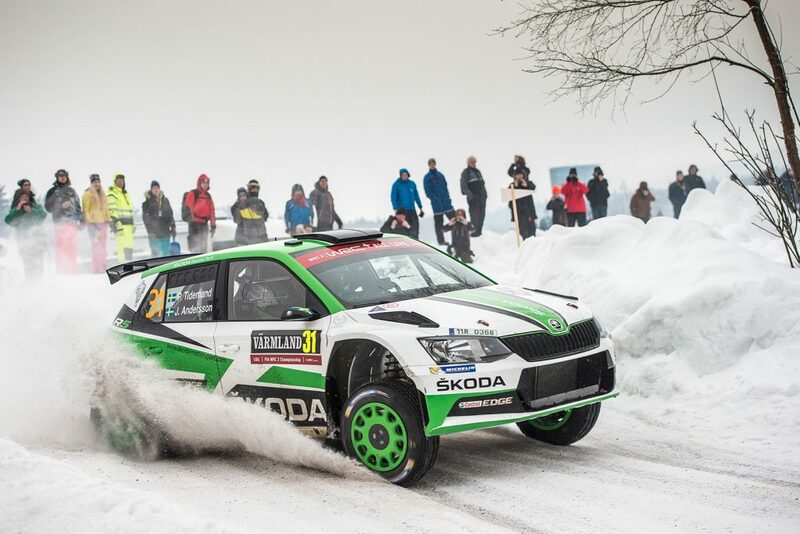 It was just Veiby’s second ever rally for the ŠKODA works team and only his tenth in WRC2, but he impressed from the start finishing just 0.1 seconds behind teammate Tidemand on the opening stage. 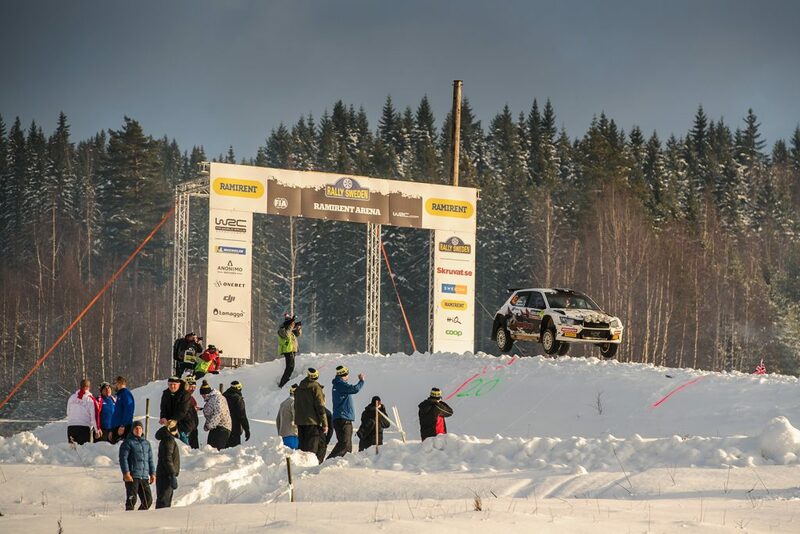 On Friday, he too was involved in the five-way battle for the lead, winning the penultimate stage of the day (SS7) to sit third overnight. 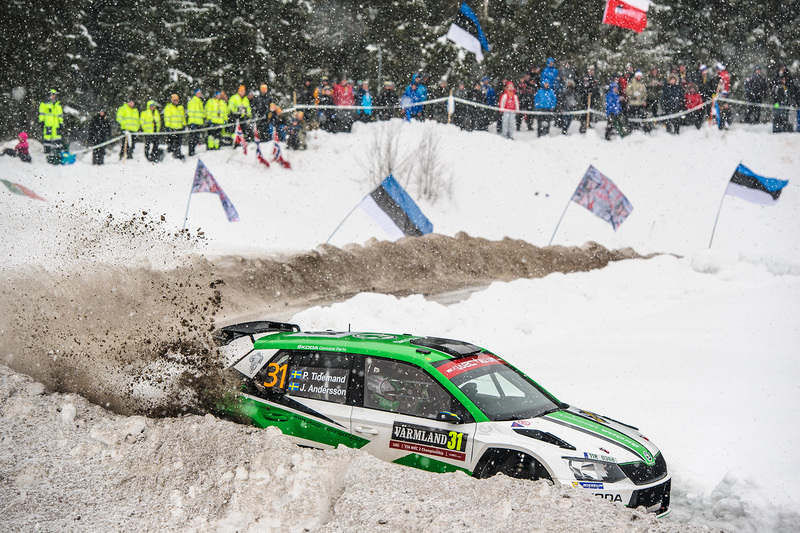 Saturday saw Veiby retain third place but lose a little time to the cars up the road as he dealt with some brake issues. He did, however, win the final stage of the day (SS16) and came second on the opening stage of the final leg (SS17) but ultimately had to be content with third place. A dream debut for Adielsson and his team on the WRC stage: Just outside the podium places, in the fourth position in the WRC2 standings, was the 26-year-old Swedish driver Mattias Adielsson. 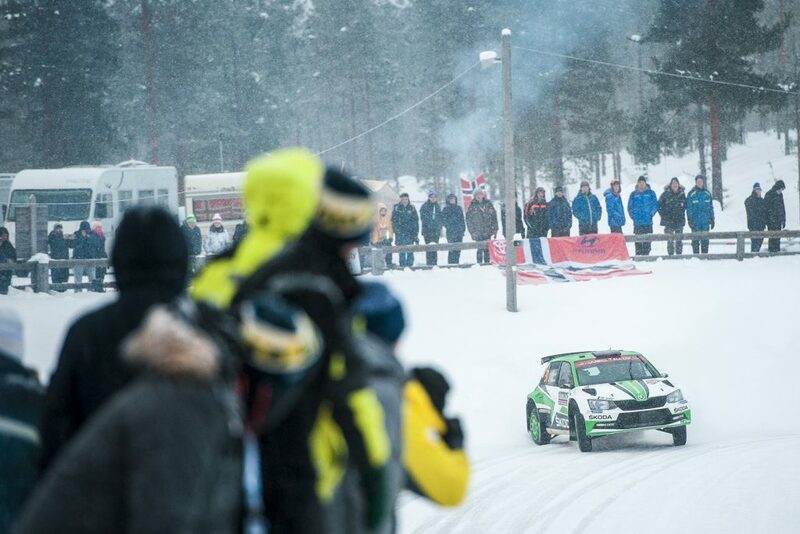 He was driving alongside co-driver Andreas Johansson for the Pontus Tidemand Racing team, which was only formed towards the end of last year. 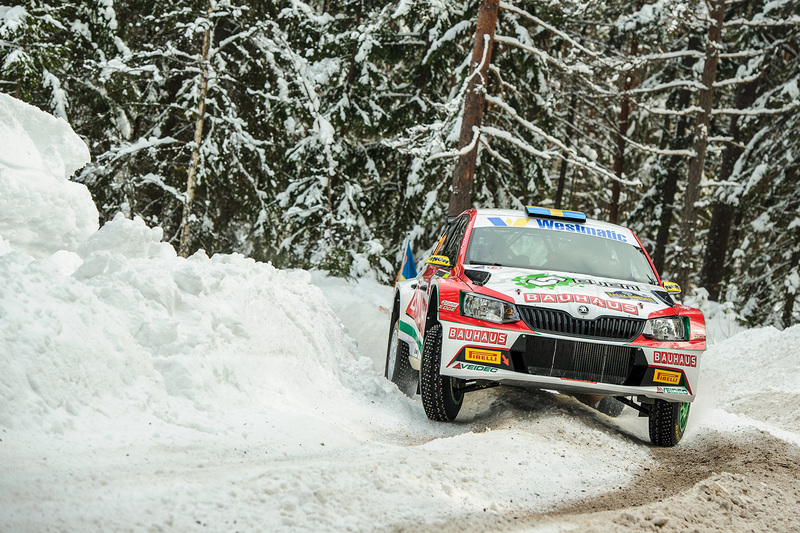 This was just Adielsson’s second-ever drive in a FABIA R5. 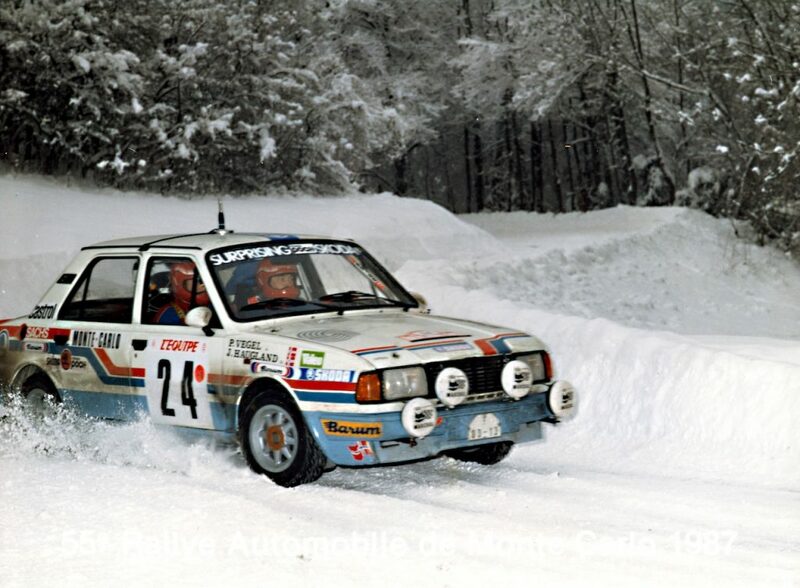 His first was at the Rally Vännas in Sweden only two weeks ago, where he finished in second place. 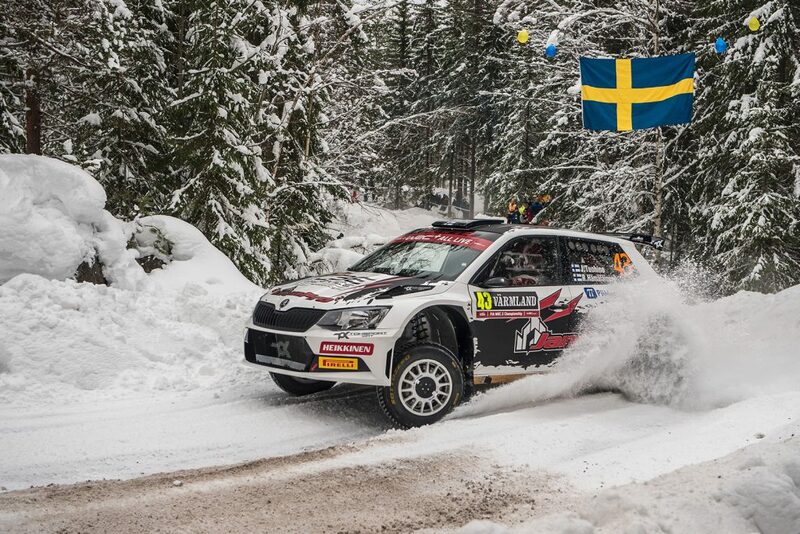 It is also his first appearance at a WRC event. 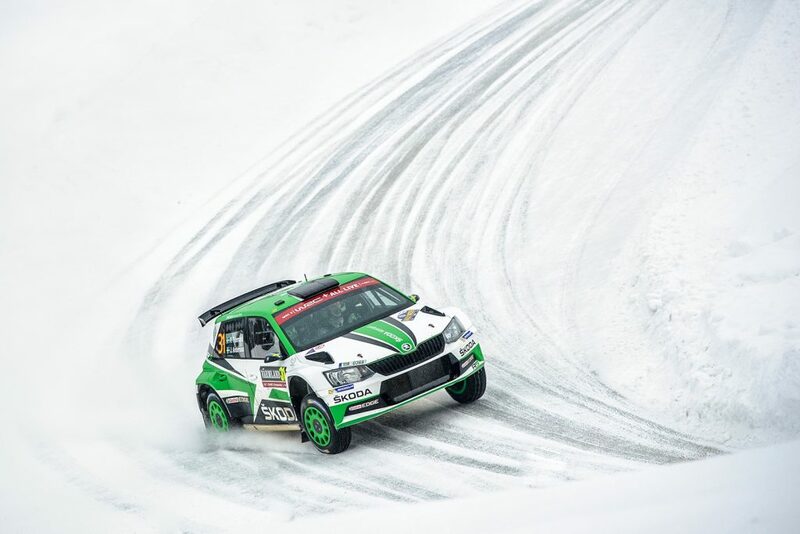 But he showed his talent and understanding of the winter conditions here, posting some very fast times, including finishing third in the WRC2 standings on SS4. 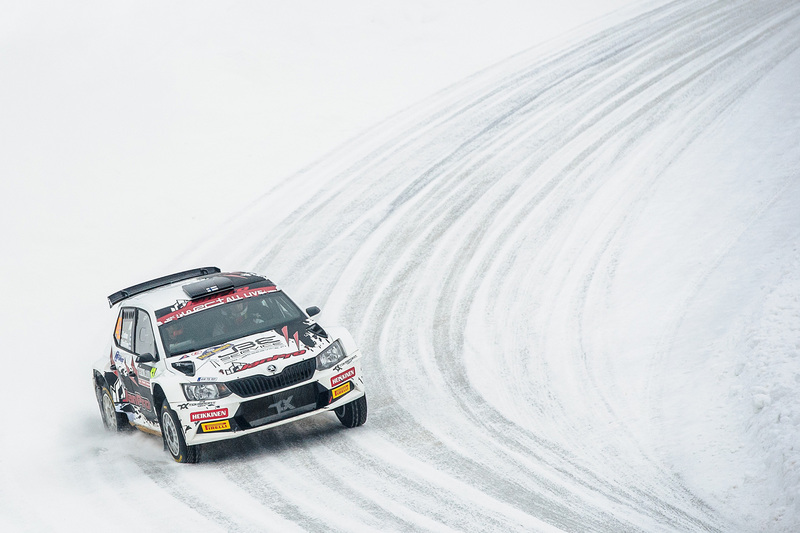 His pace and consistency reaped its rewards as he moved slowly up the field from seventh after the opening leg to end up comfortable in the fourth position by the finish. 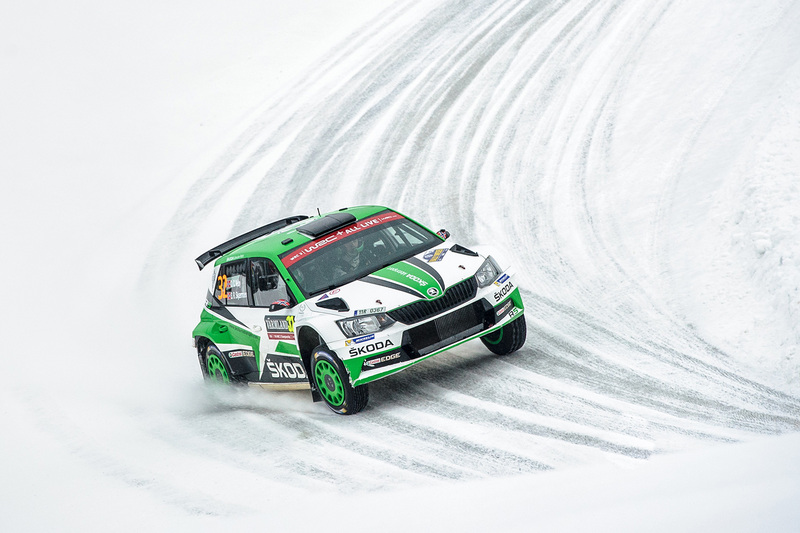 Experienced Tuohino takes Toksport WRT to fifth place: At 42-years of age, Finnish driver Janne Tuohino has plenty of rallying experience, even though the Rally Sweden was his first event in a FABIA R5, as well as alongside his co-driver Reeta Hämäläinen. 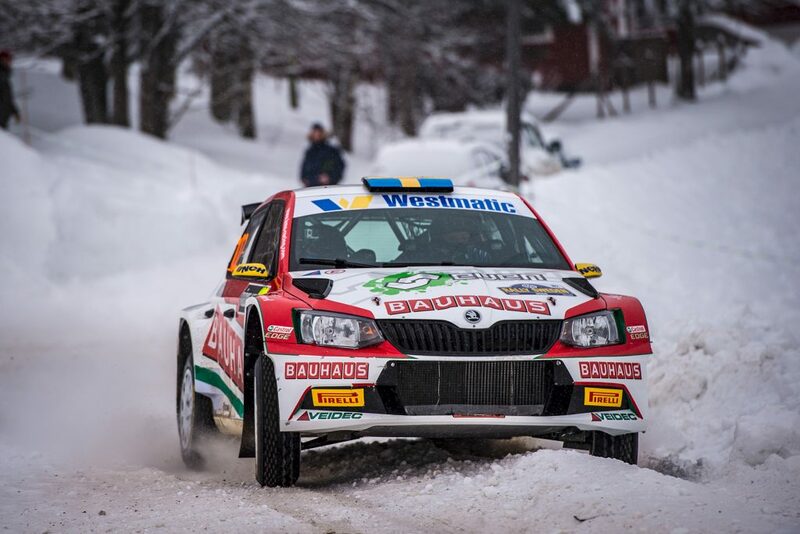 They were driving for the Toksport WRT team and Tuohino, who was a ŠKODA works driver in 2005 and Finnish Rally Champion in 2001, clearly took to the car with ease. It was his first drive at the Rally Sweden since 2010, but you wouldn’t have known it from the start as he was involved in the five-way battle for the lead on Friday, finishing second on SS4 and sitting third for a time before ending the first leg in the fifth position. 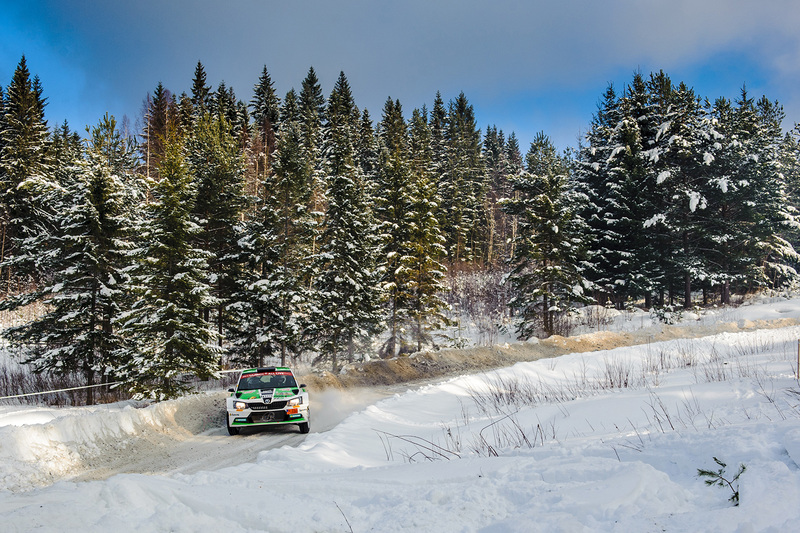 On Saturday, he retained this place until bad luck on SS12 saw him lose a minute and fall back to sixth place. But another third-place finish in SS13 put him back on track and he followed that up by winning SS15 after posting the same time as WRC2 leader Katsuta. 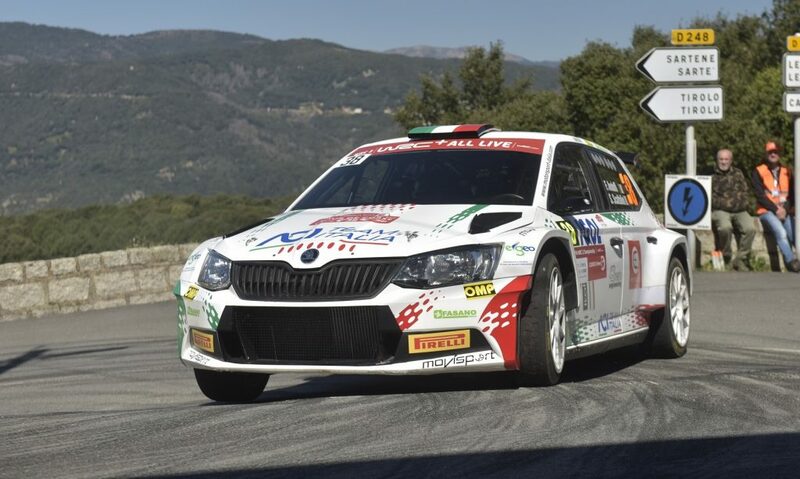 He then managed his pace on Sunday to ensure there were no mistakes and that fifth place was retained. 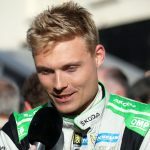 Kristoffersson slips seamlessly from rallycross to rallying: The 30-year-old Swedish driver Johan Kristoffersson was making only his second ever WRC appearance for his father’s Kristoffersson Motorsport team alongside co-driver Patrik Barth. 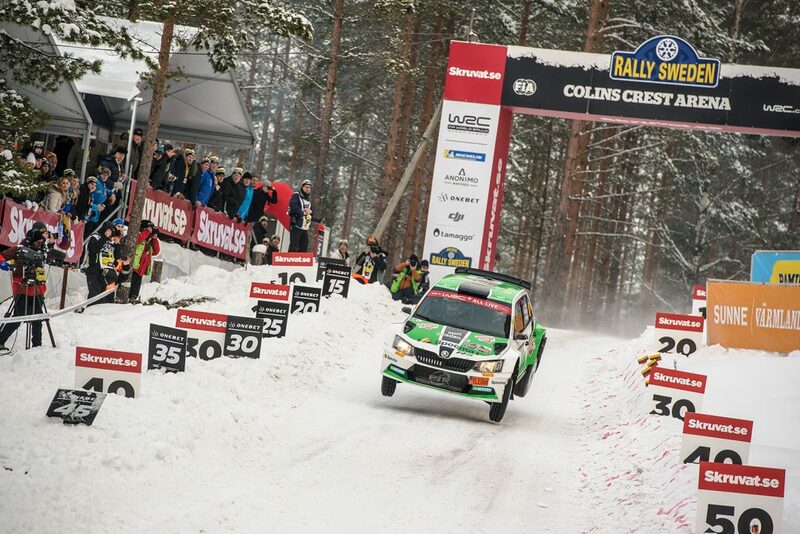 But that’s not to say he lacks rallying calibre as he is the reigning World Rallycross Champion. His previous outing saw him finish eleventh in the RC2 class at this event back in 2016, and his aim this year was to break into the Top 10. 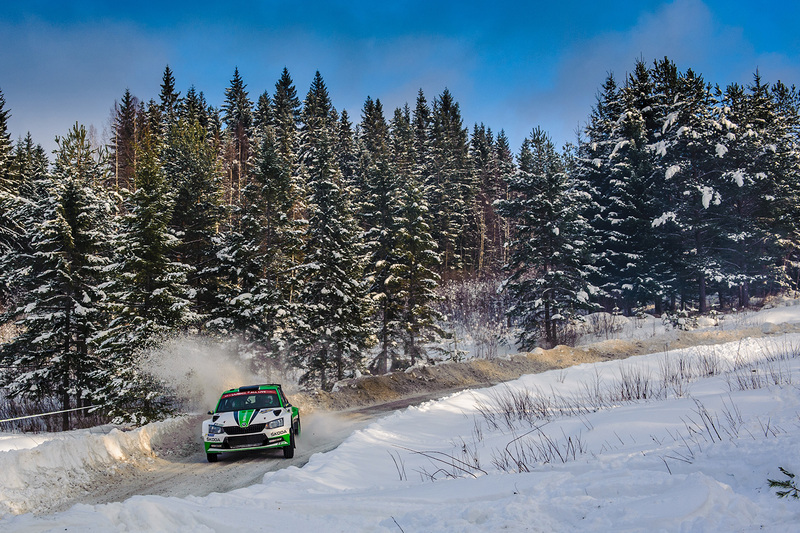 He did so in style finishing sixth in the RC2 class and even claiming two RC2 class stage victories along the way (SS7 and SS15). 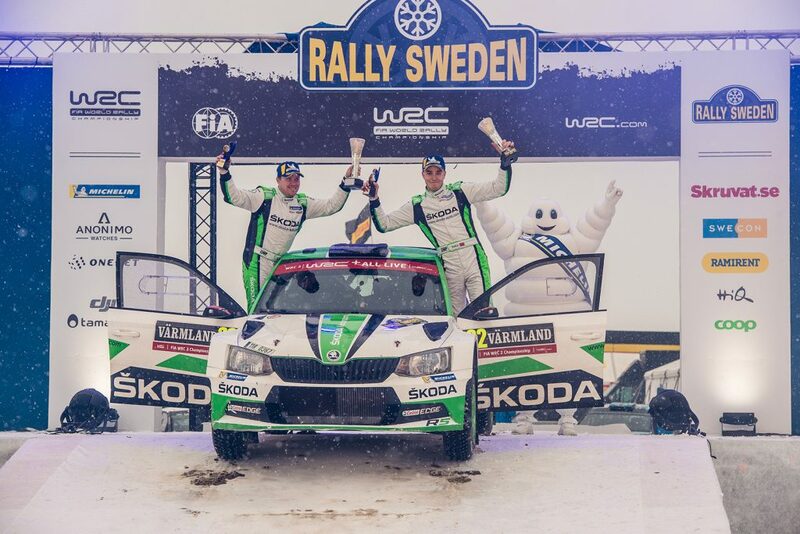 It was an impressive return to rallying for the man who has made his name in a different discipline. 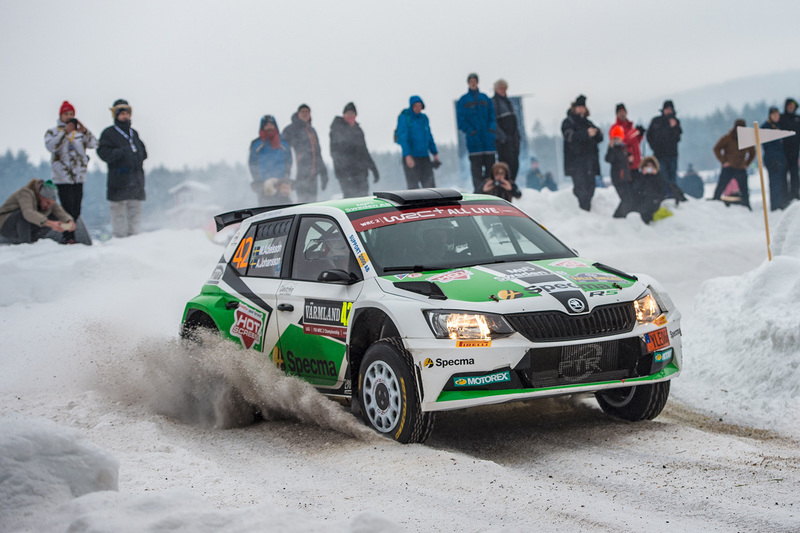 More WRC2 points and good results for ŠKODA Customer Teams: There was also no shortage of other FABIA R5s who put in impressive performances. 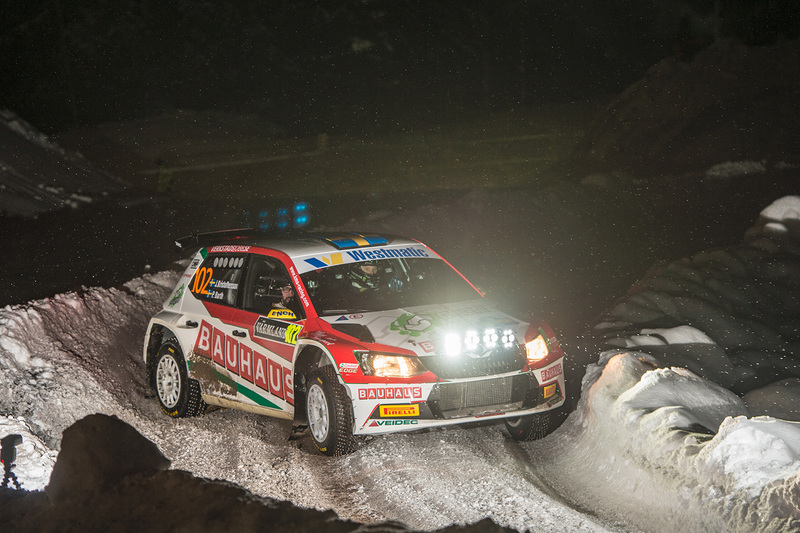 Mattias Jirvelius / Erik Gustavsson came home ninth in the RC2 class, finishing a WRC event for the first time. 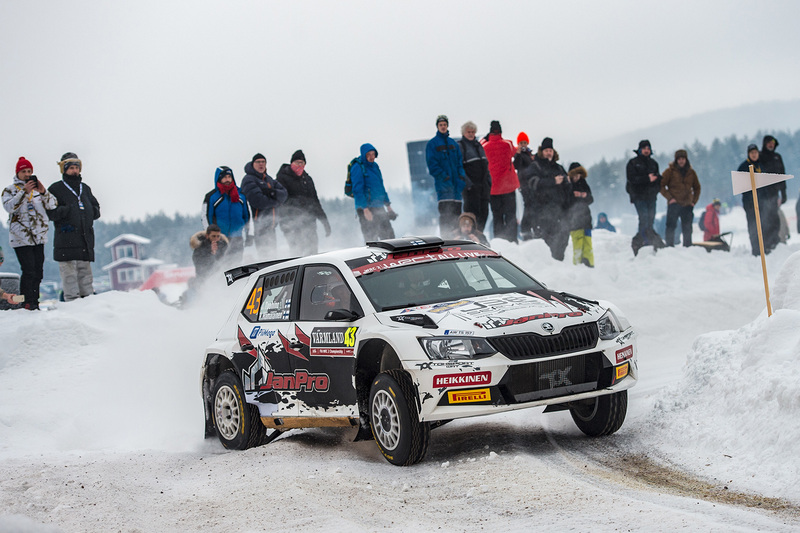 Lars Stugemo / Kale Laxe finished eighth in the WRC2 category for the Printsport team while their Printsport teammates Łukasz Pieniążek / Przemysław Mazur were one place further back in ninth in the WRC2 standings and Jarmo Berg / Rami Suorsa completed the WRC2 top 10 for the Toksport WRT team. 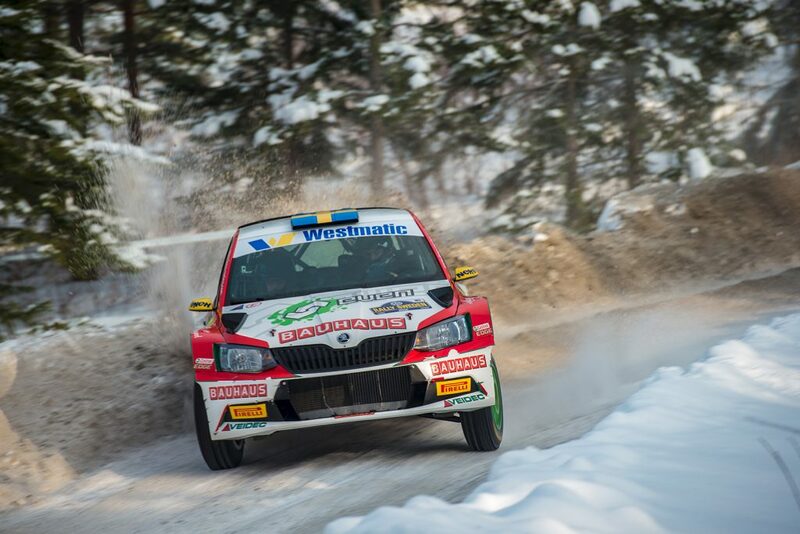 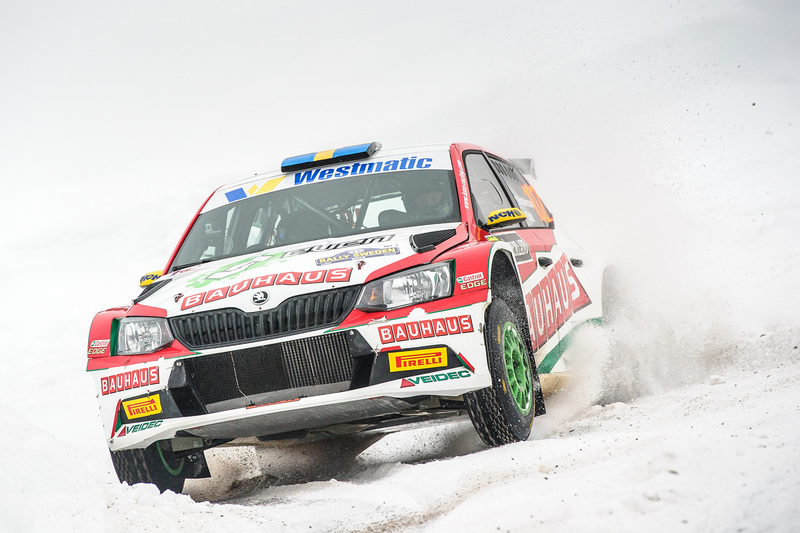 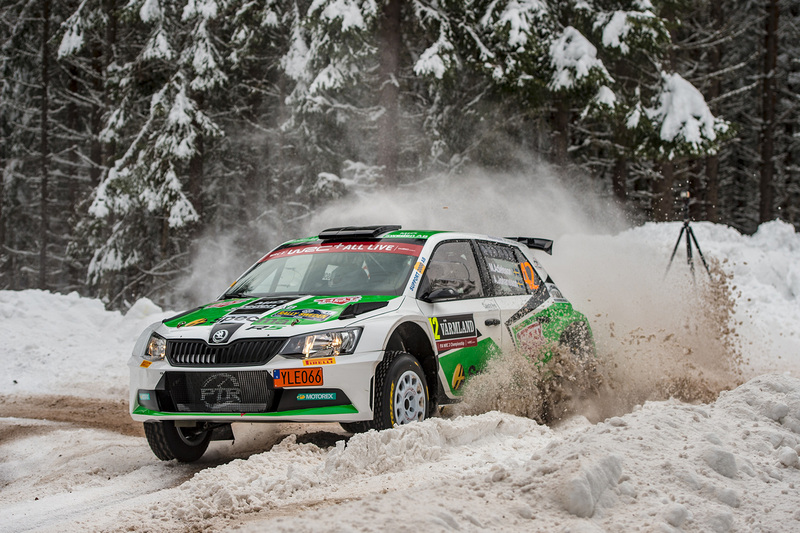 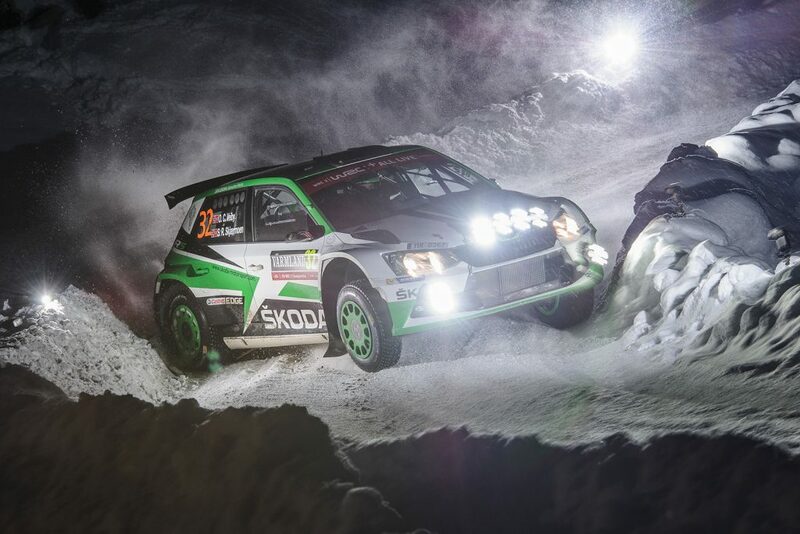 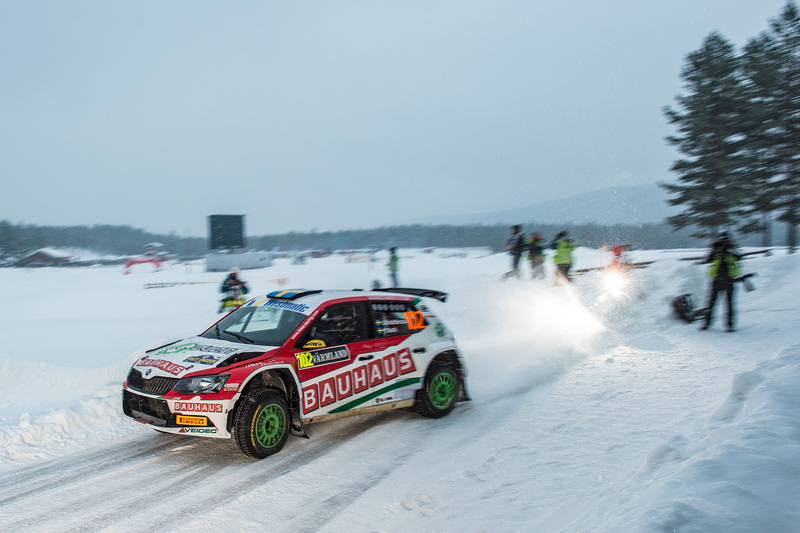 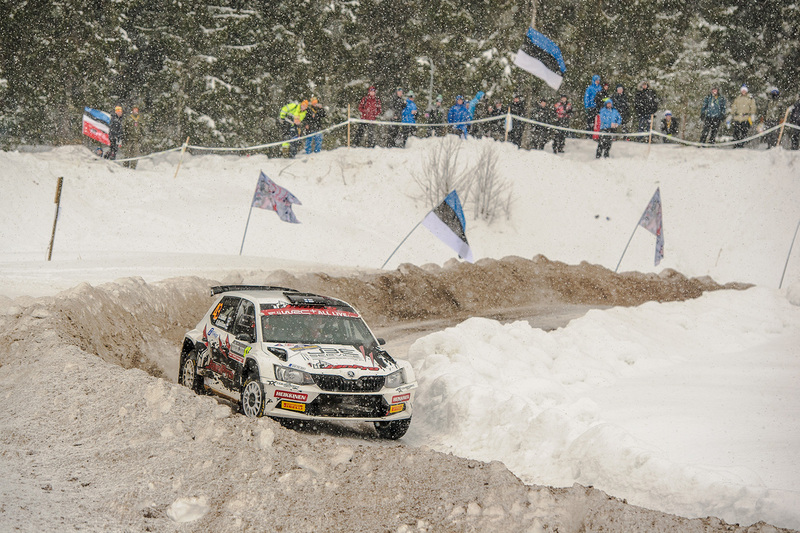 In total, 14 of the 15 FABIA R5s which started this year’s Rally Sweden made it to the finish which is a testament to the drivers, the teams and of course the car itself.